Globally billions of dollars are spent annually by data centers, carriers, operators and MVNOs on state of the art and next generation infrastructure with 99.999% uptime. 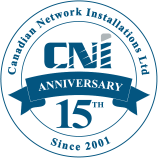 CNI provides the expertise and skilled personnel to effectively maintain, troubleshoot, upgrade and grow your infrastructure day in day out. Our services include Central Office Technicians, Customer Premise and or Road Crew Technicians, Internet Data Center Technicians and Wireless Field Technicians. Providing and delivering customized skill set requirements directed by our client, for our clients exclusively, is what sets CNI apart from others. Our techs are supplied with their own tools, vehicles, communication devices and above all CNI’s commitment to excellence. These are all inclusive and a minimum standard for CNI when it comes to providing the highest level of customer satisfaction. For further information Contact Us via this web site and one of our service advisors will be more than happy to get back to you. What does basic service mean in 2016?